Acupressure is an ancient Asian method that works on the same principle as acupuncture without the use of needles. It is not a diagnosis or treatment for illness, but it promotes health. 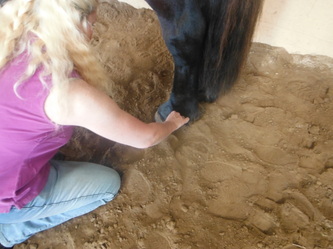 Use acupressure on a horse as a preventative treatment that involves the whole body to achieve and maintain balance. Acupressure is is form of acupuncture but pressure is applied with fingers and hands instead of needles. Humans have benefited from theses practices for thousands of years and equine acupressure is gaining recognition. Performance horses may suffer from stress caused by hauling and competing. Ill-fitting saddles, poor conformation (body structure), unbalanced riders or improperly trimmed or shod hooves can cause muscle fatigue and soreness. 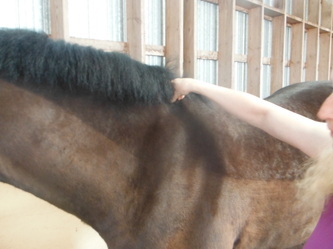 Performing acupressure on horses helps alleviate these problems as well as eliminate toxins, boost the immune system, increase blood circulation, improve flexibility and enhance metabolism. Use acupressure on a horse to release endorphins and natural cortisone. These substances increase energy, relieve pain, reduce inflammation and increase blood flow to an injured area to promote healing. 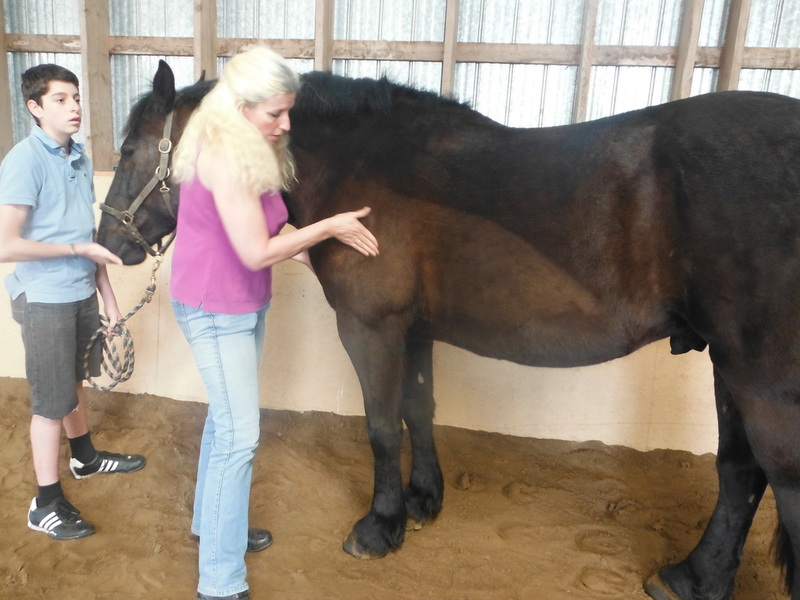 Opening and closing the meridians, working on the acupressure points and stretching are all part of a successful acupressure treatment in equines. If you’re dealing with a medical concern being treated by your veterinarian, we will gladly work with your vet to develop an acupressure strategy which will compliment the care your horse is receiving. Disclaimer: All therapies mentioned herein is a non-invasive modality intended to enhance well-being in the healthy horse – it is not designed to replace proper veterinary care. If in doubt regarding the physical health of your horse, please consult your veterinarian.